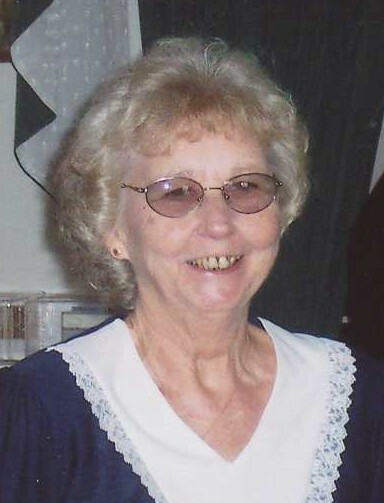 Donna Marlene Smith 84, of Huntington, WV passed away on Saturday, November 10, 2018 at Emogene Dolin Hospice House. Funeral services will be held on Tuesday at 11:00 a.m. at First Huntington Christian Baptist Church, Guyandotte, with Pastor Richard maynard officiating. Entombment will follow in White Chapel Memorial Gardens. She was born August 17, 1934 in Lincoln County, WV the daughter of the late Dennis and Norma Hodge Roy. In addition to her parents she was preceded in death by her husband, Jimmie Lee Smith, a daughter, Tonya Gay Murphy, a sister, Olive Roy and two brothers, Bobby and Bucky Roy. She was retired from Owen Illinois and is a member of First Huntington Christian Baptist Church. She is survived by a son, Jimmie Lee Smith, Jr.; four granddaughters, Carrie Hall, Elizabeth (Jared) VanReenan, Roberta (Travis) Noble and Jamie (Jason) Stapleton; a brother, Sambo Roy of Lesage, WV; a sister, Shirley (David) Armstrong of Chesapeake, OH; seven great grandchildren, one great-great grandchild, a special family friend, Connie Spitler, two special church friends, Wanda Wells and Jackie Ferguson, and several nieces and nephews. The family will receive friends on Monday from 5:00 – 7:00 p.m. at Beard Mortuary.